As one form of preservation of cultural heritage, Soto Betawi recipe must be known by many people. 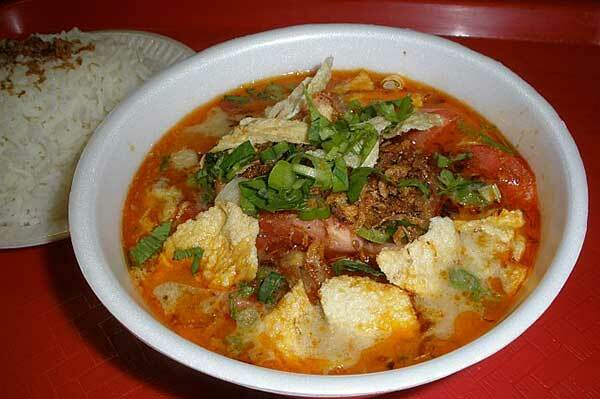 This is because Soto Betawi is a typical food of the Betawi ethnic group. Soto betawi have its own features and it has good taste. The color of the soupf of soto betawi is yellow, but there are also white sopu because the soto is mixed with coconut milk. Soto Betawi already has fans from many people in different level and class. In terms of appearance, Soto Betawi is also very tempting. Although it can be found in many places, but it's good when you know the recipes of Soto betawi. Therefore, you can make it by yourself at home. Here is a delicious recipe of Soto Betawi. The first step in the recipe Soto Betawi is to boil the beef until cooked. Aside the broth of the beef to be make as soup for soto betawi. And then fry smooth Spices pan until you can smell the fragrant. After that, put the meat that is already boiled. Put galangal, lemon, salt, sugar, lime leaves and stir in meat. After that, pour all of ingredients that have been sautéed in broth. You can also add the soup with coconut milk if you want it. Cook the soup until the the meat becomes tender and shrunk a little sauce.